Faye J. Crosby, professor of psychology and an expert on affirmative action, has received the Kurt Lewin Award, one of the most prestigious honors in social psychology. Crosby received the award from the Society for the Psychological Study of Social Issues (SPSSI), also known as Division 9 of the American Psychological Association, a nonprofit organization of psychologists and social scientists that supports research on the psychological aspects of social issues. Named for the late Kurt Lewin, the founder of social psychology, the Lewin Award is presented annually to recognize "outstanding contributions to the development and integration of psychological research and social action." Crosby is a leading authority on affirmative action and diversity issues in education and business. Her most recent book is Affirmative Action is Dead: Long Live Affirmative Action. Among her many volumes is Psychology and Management of Workplace Diversity, which she coedited with Peg Stockdale. 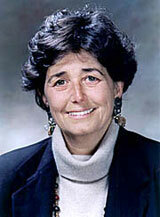 Specializing in social justice, Crosby has focused on individual attitudes in the context of social change. She discovered the phenomenon known as "the denial of personal disadvantage," whereby people see themselves as exempt from the injustices that affect groups with which they identify. Crosby came to UCSC in 1997 from Smith College. She was on the faculty at Yale University from 1977 to 1985. Crosby is the third UCSC psychology professor to receive the Kurt Lewin Award. M. Brewster Smith received the award in 1986, and Thomas Pettigrew received the honor in 1987. Crosby's award was presented during the annual meeting of the American Psychological Association in August. "Professor Crosby has made major contributions to contemporary scholarship, and her research accomplishments are matched by her excellence as a teacher," said UCSC Chancellor Denice D. Denton. "She is in good company, joining her UCSC colleagues Brewster Smith and Tom Pettigrew." Crosby also received the Distinguished Publication Award from the Association for Women in Psychology for coediting a special issue of the Journal of Social Issues called "The Maternal Wall" that focused on work-family balance. Crosby received the same award last year for an article she coauthored with two UCSC graduate students and a colleague from the College of Wooster, entitled "Affirmative Action: Psychological Data and the Policy Debates." She is currently chair of the UCSC Academic Senate. "I'm happy to work hard for the community of UCSC scholars because UCSC is such a fantastic school filled with people who combine excellent research with outstanding teaching," said Crosby. "And here we really do achieve excellence through diversity."